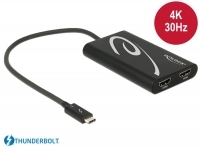 This Delock converter can be connected to your PC or notebook via Thunderbolt™ port and enables the connection of HDDs, SSDs and other drives with SATA 22 pin interface. 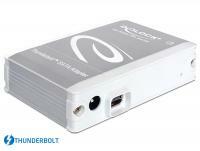 Description This Delock adapter can be connected to your PC or laptop with Thunderbolt™ interface. 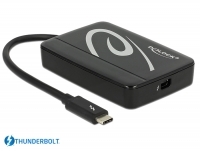 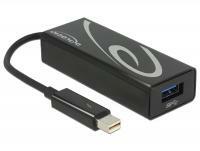 Thus you have the possibility to run devices with USB type A port on the Thunderbolt™ interface.